Hamilton isn’t the only interesting figure to be immortalized through great storytelling. Masterful works are out there about Washington, Jefferson, Sally Hemings, loyalists and the enslaved who cast their lot with the British. 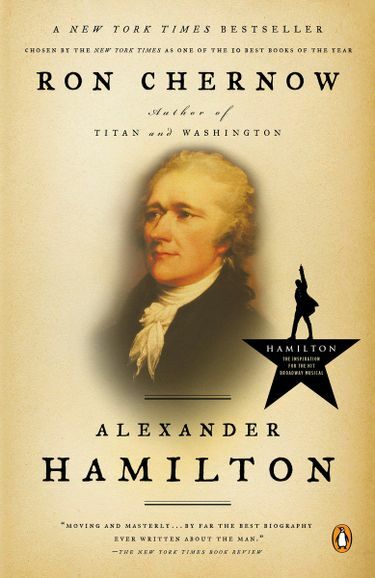 Ever since I learned that the Broadway musical “Hamilton” was inspired by a prizewinning biography, my mind has been roaming over other books about the Founding Fathers that are feats of great storytelling. The book got rave reviews when it came out in 2004, but it seemed destined for a modest afterlife in the paperbacks section. Then Miranda read it. He told Chernow that Hamilton’s life was “a classic hip-hop narrative,” Chernow recalled in the Times of Israel, the story of a societal outsider with tremendous drive and will to succeed. We think of the Founding Fathers as white-wigged characters posing in a sun-dappled chamber, sharpening their quills, thinking deep thoughts. In truth, many of these men were outliers, with hearts full of ambition and lust, idealism and guilt — especially over slavery. “Washington: A Life” by Ron Chernow(Penguin). In Chernow’s inspired telling, Washington transforms from an insecure, ambitious youngster to a man with fearsome burdens as he leads the country, first through war, then through the painful process of birthing a nation. 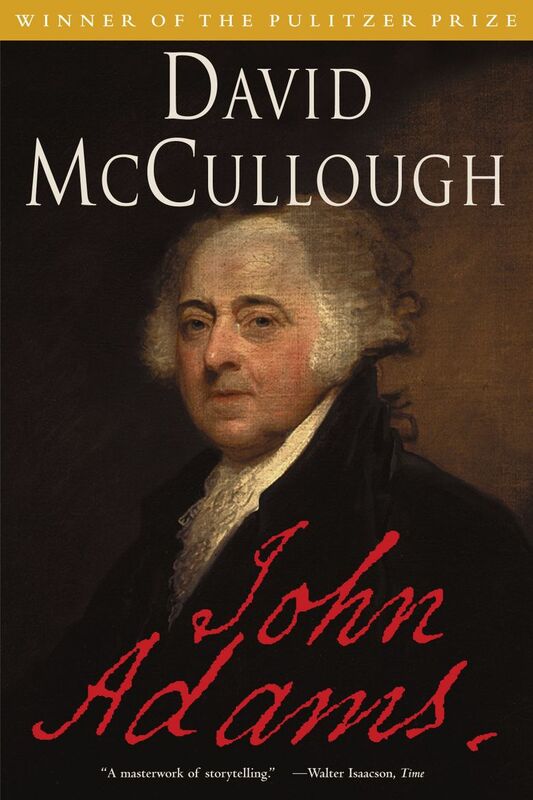 “John Adams” by David McCullough (Simon & Schuster). A perfect match between subject and writer. John Adams — brilliant and blunt, moody and plain-spoken. McCullough — a man who loves nothing better than to bring the past to life. For this reader, the best part of this Pulitzer Prize-winner (biography, 2002) was the marriage of John and Abigail Adams, who wrote bold, beautifully composed letters to one another that vividly documented the heartbreak and deprivation they endured during their long separations. Someone already noticed this story’s potential — the HBO series based on this book, with Paul Giamatti as John and Laura Linney as Abigail, swept the Emmy Awards in 2008. It’s a masterpiece of visual storytelling. “Thomas Jefferson Dreams of Sally Hemings” by Stephen O’Connor (Viking). This stunning novel, published in April, re-imagines the torturous relationship between Jefferson and the enslaved Hemings, his dead wife’s half-sister and his common-law wife. There’s little written record of Hemings’ life. This apparently freed O’Connor to use every literary form going — Hemings’ imagined diary, where she pours out her anguish over both slavery and her love-hate relationship with Jefferson; magical realism, as Jefferson endures eternal punishment for his abuse of Hemings’ love; excerpts from writings of some of Jefferson’s former slaves; the voice of the dispassionate historian, who chimes in on historical forces that shaped their story. “Liberty’s Exiles: American Loyalists in the Revolutionary War” by Maya Jasanoff (Vintage). This work of history, a National Book Critics Circle prizewinner, chronicles the ordeals of the American colonists who remained loyal to Britain during the Revolutionary conflict. Sixty thousand loyalists left America after the war was over, scattering all over the world to other British colonies. They lost their homes, their land and in some cases, their families. Some survived and even thrived, others never recovered. The war even split families (such as Benjamin Franklin and his son William, who remained loyal to England and eventually moved there). One such survivor was Joseph Brant, a Mohawk leader and adopted son of sorts to an influential British bureaucrat. Brant, who joined the British Army, was educated, well-spoken, and flamboyant — he dazzled the British when he visited England to lobby for his tribes’ rights, dressing up in full Native regalia, a tomahawk in his hand and a crucifix around his neck. His people ultimately emigrated to Canada, where their descendants live today. 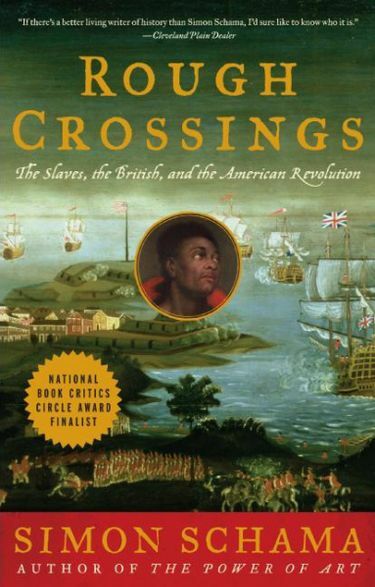 “Rough Crossings: the Slaves, the British, and the American Revolution” by Simon Schama (HarperPerennial). Schama is a historian, Columbia University professor and TV personality who loves to puncture historical myths. Here he tells what happened to colonial America’s black inhabitants, most of them enslaved, when the Revolution broke out. By the end of the war, up to 100,000 black Colonists had joined the British side, betting that their chances for freedom were better with the British than the Americans. The Brits promised some of these refugees a new home in Nova Scotia. Upon their arrival — you know what’s coming — they were denied the land they had been promised because, you know, white people got there first. The dispossessed Colonists spent a terrible winter in the snows of Canada, and were eventually given passage to Africa by a group of British abolitionists. They started a colony in Sierra Leone — right in the dark heart of the slavery trade. This book really turns the story of the revolution upside down. As Lin-Manuel Miranda said, more or less — you just can’t make this stuff up. Mary Ann Gwinn: 206-464-2357 or mgwinn@seattletimes.com. Gwinn appears weekly in the Bookmarks segment of “Well Read: A Series for the Serious Reader” -- airing on KCTS9 every Sunday at 12:30 p.m. For archives of past episodes, www.wellread.org. On Twitter @gwinnma.